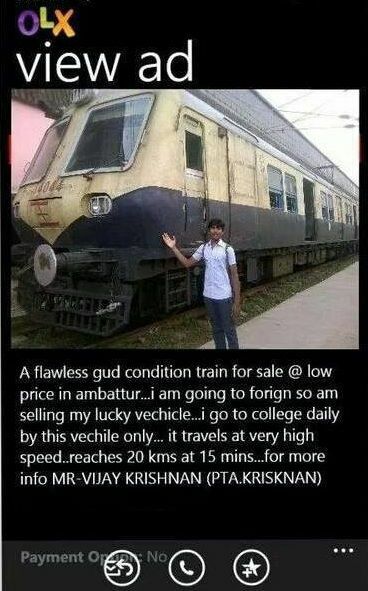 Home Chutiyapanti 13 of the Best OLX Ads By Indians Who Nailed It! OLX – “Yahan Sab Kuch Bikta Hai” has proved its statement so right that you will be shattered in bricks after seeing these ads. Here are some of the best olx ads by Indians who nailed it and trolled everyone on OLX. There are things you can sell and things you can’t but for us Indians nothing is waste and anything can be sold to anyone, as long as there is matter we will try to either re-use it or sell it, there is no other way for us. Donating? Gifting? are you kidding me, Indians never saw it off, I being an Indian can tell that people don’t think too much that thing is still usable and can be used as something else, or even better, its useless? Lets try to sell it to someone, we may get something for it, after all what’s the damage in trying! Here we present you with the best of 13 OLX ads that will make you die laughing. 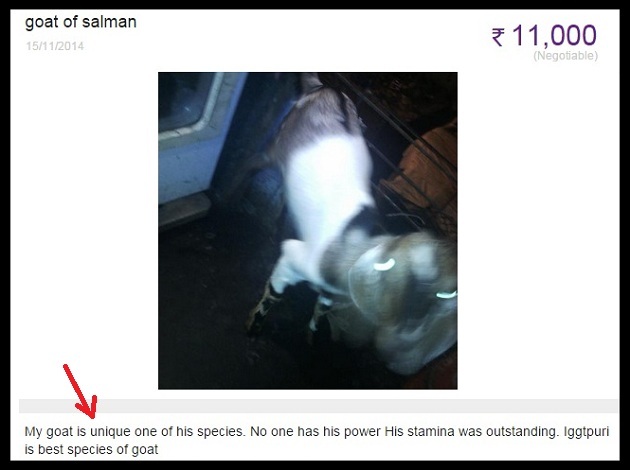 These funny Indian trolls on OLX are so hilarious we had to finally share them here on our website. Browse through these funny images and have a good laugh, Enjoy. Don’t forget to share them and try one of your best Ads. If you got something more better, don’t forget to Submit Your Content to us and we will do that for you! So here we being with these awesome ads. Here are 13 Best OLX Ads ever! 1. 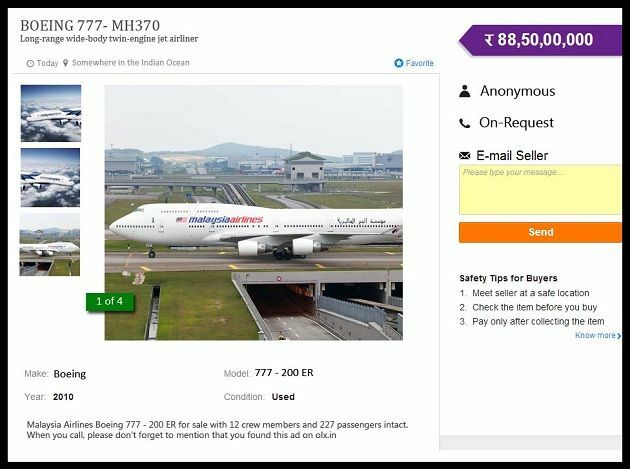 Selling the MH370 Airplane right away! 3. 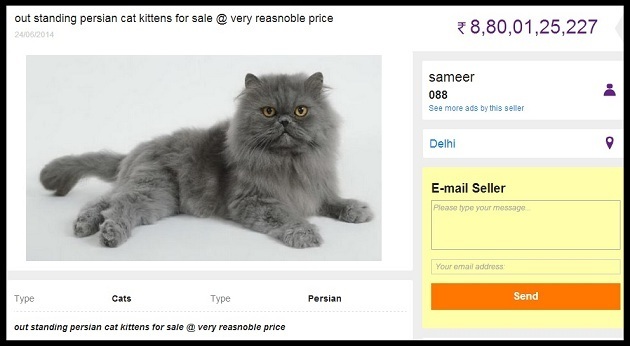 The Super Persian Cat with reasonable price.